The Vol. 5, No. 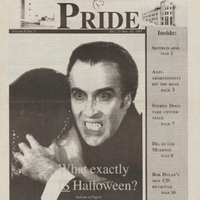 3 cover story of The Pride explains the Halloween holiday. 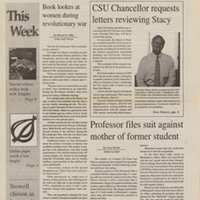 Vol 4, No. 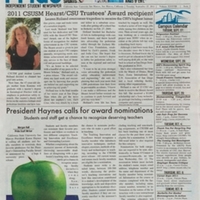 9 of The Pride features History professor Joan Gunderson interviewed about her new book, "To Be Useful in the World."